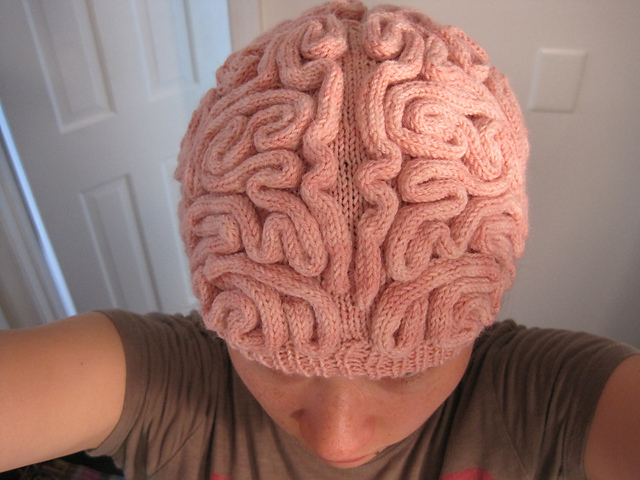 The brain beanie is a knitting project of Alana Noritake. 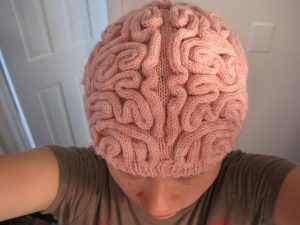 It’s a simple brain hat pattern which you can use to create your own brain beanies. The pattern can make a hat that can fit 23 to 35-inch heads. As you will realize when you visit the website, an actual hat is not for sale. The pattern to create the hat is. You do the knitting; you provide your own yarns and needles. Better look for someone who can do it for you if you’re not the type. Best to do this in grey-colored thread as well for that authentic “grey matter” look. I love the brain beanie. I wished I had the pattern.